Best to Get the Glitches Out of the Way the First Day, Right? It was our intention to leave by 8:00 this morning, then Jim realized that he needed to pick up a prescription and our pharmacy doesn’t open until 9:00, so we thought we’d be on the road by 9:30. Hmm, there was more left to do than we thought and it was after 11:00 before we even left the house. We picked up the prescription and figured we might as well have lunch before heading out. We still needed to make a stop at Canadian Tire to get a pair of heavy tie downs for the bike, because when Jim went looking for the ones he had, he remembered that he’d used them on the old bike and trailer that he’d given his son-in-law last summer. He forgot to get them back! We also had to go to CAA to get our travel insurance –Jim had tried by phone this morning to renew the RBC plan that we had last year, but was told that we’d need to go to a travel agent to do it (if I’d known sooner, I would have called my friend Pat). We got to CAA only to learn that they had just launched their new insurance company and were training on it, so it was a slow process. At 2:00 pm we were finally on Hwy 115, on our way. Twenty minutes later, on Hwy 28, the RV suddenly started to shake and shimmy! We pulled over and Jim checked things out, but couldn’t find the problem. To make a long story short, we made it to a truck and RV repair centre in Cobourg. It took about 45 minutes for them to find and fix the problem — an unattached stabilizer bar. We were on our way again by 3:00 pm. We arrived in Brockville at 7:00, too late to stop in to see Mom, as was our plan. So tonight we’re “camping” in my brother’s yard. Tomorrow we’ll visit Mom early after breakfast and the head across the border over the 1000 Islands Bridge. It will be a much better day! 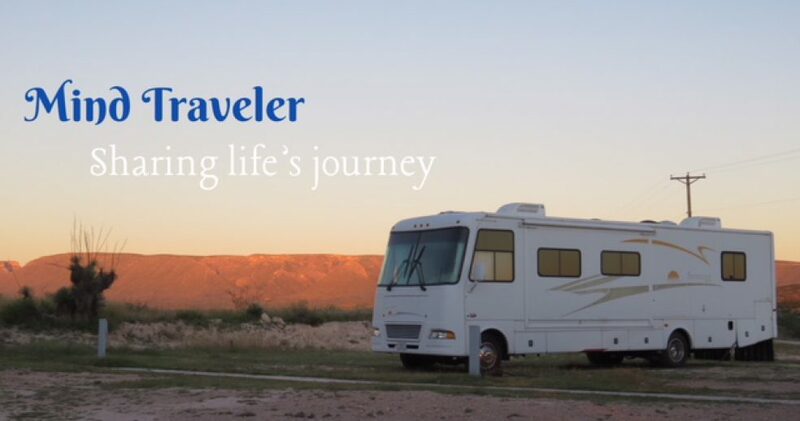 This entry was posted in Motorcycling, RV Travel and tagged 1000 Islands, RVing. Bookmark the permalink. Even the best laid plans have hurdles that one has to overcome and accept gracefully, as you have done. Congratulations. Your stories provide empathy, and we can live vicariously through your adventures. How well I know how easy it is to get waylaid and behind schedule. The good news is that after visiting with your mom, you’ll be on your way. Here’s to more shimmies and shakes and to smooth roads ahead. Safe travels.